Sazoneros! October 1st marks the first day of Breast Cancer Awareness Month. In true Miami fashion, I headed down to Miami Beach to watch history in the making. 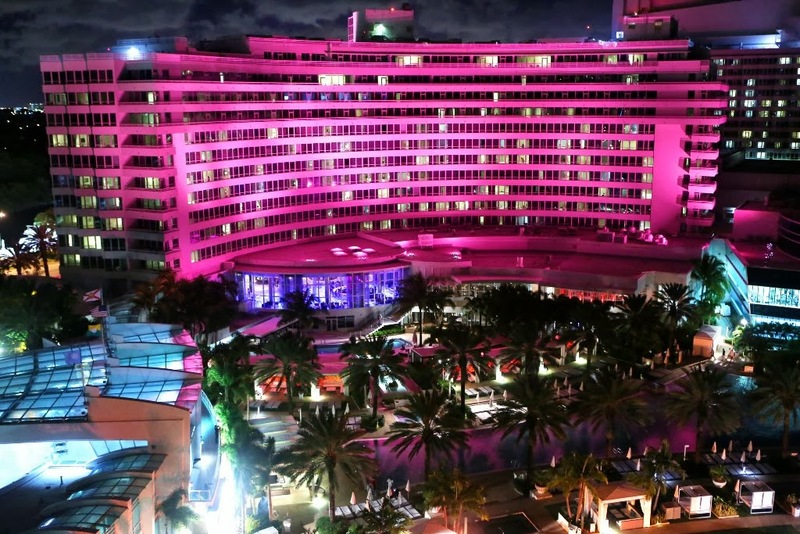 For the first time ever, Fontainebleau Miami Beach (pictured above) has turned "pink" inside and out in honor of National Breast Cancer Awareness Month as part of their annual “Bleau Goes Pink” initiative in partnership with Susan G. Komen Miami/Ft. 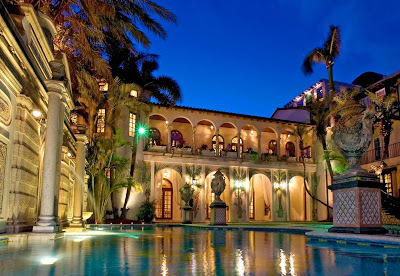 Lauderdale. The original Morris Lapidus-designed Chateau Tower opened in 1954 will be lit throughout October, along with light installations in the hotel lobby by artist James Turrell. I attended their special lighting ceremony yesterday at the iconic hotel where local supporters of the cause also gathered to register for the upcoming Susan G. Komen Race for the Cure. 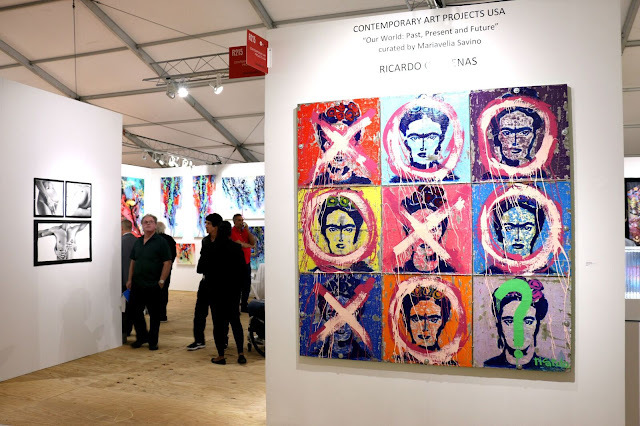 Make sure to check out their website for all of the details on the race which will take place on October 19th at Bayfront Park in Downtown Miami. 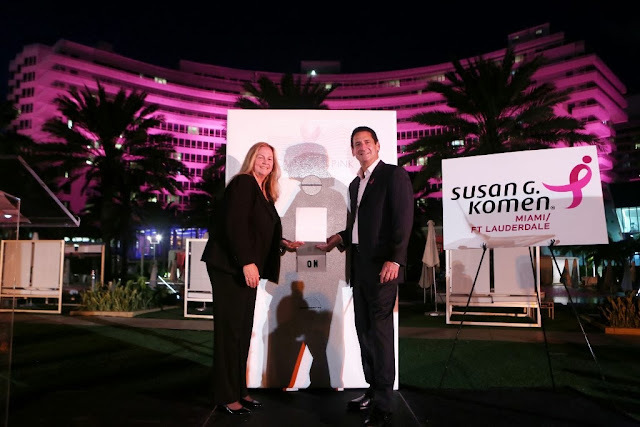 Above: Fontainebleau Miami Beach President and Chief Operating Officer Philip Goldfarb (right) and Susan G. Komen Miami/Ft. Lauderdale Executive Director Cathy McCarthy (left) flipped a ceremonial switch. It was an emotional moment and everyone looked at the hotel in amazement! Oh, I also found out that the hotel has exclusively extended their Miami Spice menu till the end of October. Sounds like you have the perfect reason to visit the hotel to check out their new look! For more ways to get involved with Susan G. Komen in Miami & Ft. Lauderdale, visit their official website.